These are samples for "Haiku" brand products. 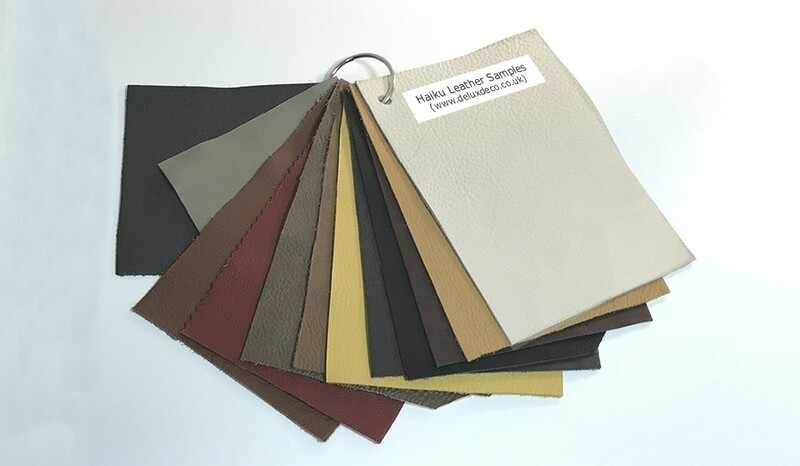 Leather samples consist of a book of top grain leather samples. We ask for a £20 security deposit as we don't have an unlimited supply of the samples and we do need them back for other customers to view. Thank you. You will receive the sample books with a free return envelope and once you are finished with them, simply pop them into the envelope and post them back to us. The envelope will have your order number on so that we know to refund against your order as soon as received back. Refunded with no obligation to purchase. Any items from the same brand / supplier can be ordered in any of the selections even if we are only displaying an item in fabric. NB: leather option will be significantly more costly as these are fine grade leathers.